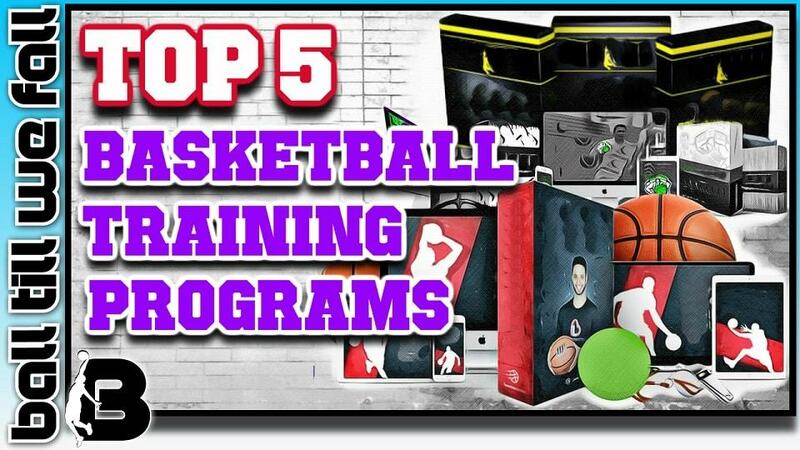 5 Best Indoor Basketballs 2018! WOW! Cheap & Expensive! If you love the game of basketball as much as I do, then I am sure that you understand the value of playing with a quality ball. An indoor basketball with great feel, grip and bounce can provide hours of productive and enjoyable game-play. On the other hand a cheap, half flat rubber ball with no grip is no fun at all. In fact, playing with a poor quality basketball can greatly hinder your game. If you take your game seriously, owning a quality basketball to use indoors is a must. 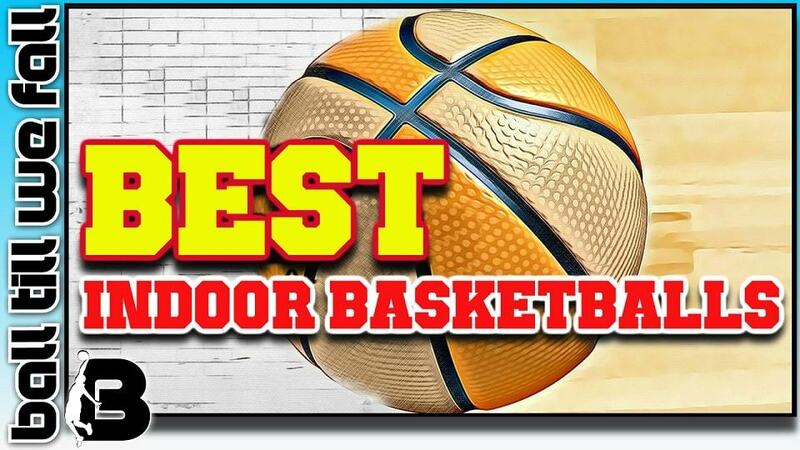 We previously took a look at the TOP 5 OUTDOOR BASKETBALLS, so in this article I am going to solely focus on reviewing and comparing indoor basketballs . 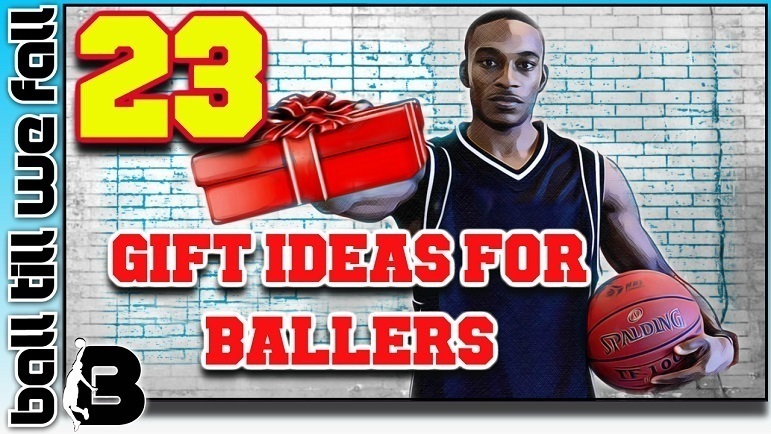 Join me as I roundup the Top 5 Indoor Basketballs for every budget and display the pro's and con's of each ball. We are constantly updating this page with the best indoor basketballs so be sure to check back regularly. Do You Spend Most Of Your Time Ballin' Outdoors? If so, you may prefer to check out our roundup of the ﻿BEST OUTDOOR BASKETBALLS OF THE YEAR﻿. 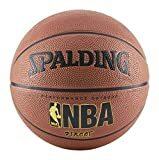 The official NBA Spalding game ball has been the official ball of the NBA since 1993. Now you too can get access to that pro feel on your next shoot around. This FIBA approved basketball is designed for durability and performance. Molten’s signature GIUGIARO design enhances visibility, helping you focus on the movement of the ball. Wilson X brings a new level of intensity to the game while tracking your makes and misses to keep tabs on how well you play when it's crunch time. This is one of the most exciting shot tracking devices on the market. The wide channel design gives great feel and play-ability for a very affordable price. Although technically an outdoor basketball, it responds very well on the hardwood. Wilson is the official basketball of the NCAA Championships and March Madness. 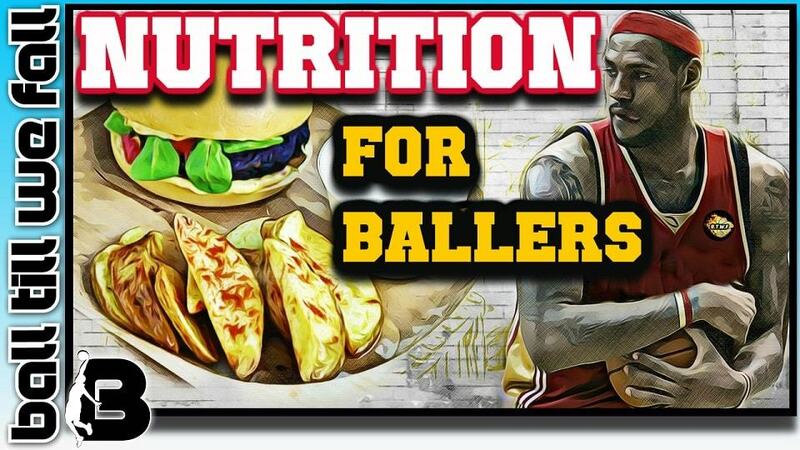 Now you can get the same on court feel and bounce as a college baller at a great price. "The ﻿﻿﻿Official Spalding NBA Game Ball﻿﻿﻿ ﻿is the ultimate in basketball technology and handmade love and attention. If you want the same "feel" in your ball that the pro's desire then this ball is a must. By far the best indoor basketball ever created"
When Can I Use An Indoor Basketball Outdoors? Indoor basketballs are often constructed of a soft materiel with a clear coating that can be damaged quickly with outdoor play on abrasive surfaces. Unlike specifically designed outdoor basketballs, indoor basketball varieties are less durable and have not been designed to tolerate harsh sun exposure and excessive moisture. More often than not, indoor basketballs are constructed of higher quality materials such as synthetic and genuine leather and are therefore the more expensive option. 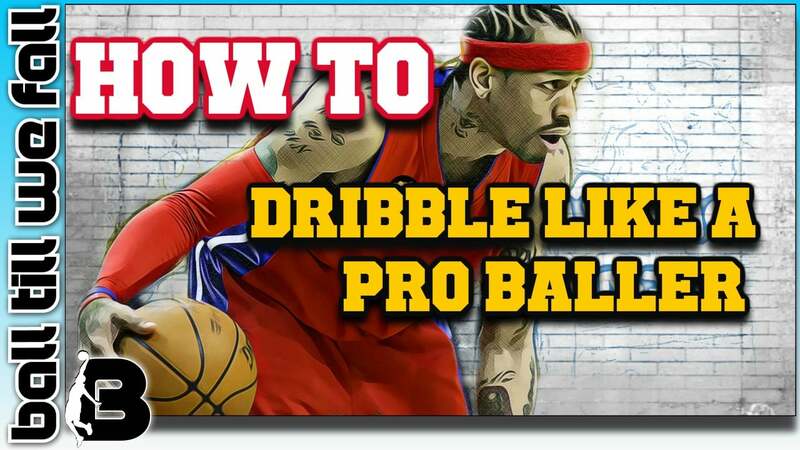 As you will see in our individual indoor basketball reviews below, some basketballs can be used both indoors and outdoors. Obviously you must use common sense when using a quality indoor ball outdoors. Playing outdoors on harsh blacktop and then leaving your ball out in the sun and rain will obviously shorten the lifespan of the ball. In saying that, I personally have used an expensive official NBA ball on an outside court for years and it is still in great condition. However, the court I play on is covered in a synthetic mat and I always put it straight back in my bag after play. The moral of the story... protect your investment and care for your indoor ball if you want it to last. If you are thinking about purchasing a quality basketball you obviously take your basketball seriously. When purchasing a quality ball you should think of it as an investment into your basketball career. Therefore you should treat your ball with respect to ensure that maintains its performance over the years. Keep your ball clean with ball cleaner and store it away in a quality basketball bag and you will have your basketball in top shape for years to come. Remember to never kick a basketball and always ensure it is pumped up to avoid any warping and loss of weight. Searching all over the internet for the best indoor basketballs can be very time consuming. Now all you have to do is read our easy to follow short list below and make your decision on which indoor basketball is right for you. 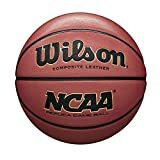 The Wilson NCAA replica game ball provides awesome grip and control that we have come to expect from much more expensive indoor basketballs. The cushion core technology offers exceptional feel and a very consistent bounce. We also love the way that this ball can absorb moisture. It tends to stay dry when other balls become slippery. The ball is super durable and could even be considered for outdoor use. This NBA Street basketball is one of the best outdoor basketballs available, however I believe that this is also a great option for ballers on a budget that want a durable ball that they can use both indoors and outdoors. The indoor play response of this ball is very comparable to that of some much more expensive indoor basketballs. Definitely worth a look if you play both indoor and outdoor ball on a regular basis. Some users report that this ball needs to be pumped up frequently. The Wilson X is one of the greatest inventions to hit the baketball market in some time. This super innovative product handles like any quality composite leather basketball should. This ball offers many more features than your standard indoor basketball. The Wilson X comes with a built in sensor and partnered app (android/iphone) that will track you shots on the go. All you need is access to a standard 10ft height rim with a good quality net. 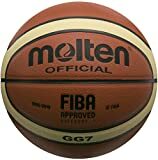 The Molten GG7 is a top of the line FIBA approved composite leather basketball that ticks all the boxes. It is very durable and handles very true. These balls tend to be quite slippery until worn in. This usually takes a few hours. once worn in you will love the feel and control that this ball provides. The 12 panels provide great feedback when dribbling and shooting. The best option for those of you who play in Europe and Austral-asia under the FIBA system. Quality bladder keeps nice air seal meaning less pumping up. 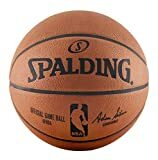 This official NBA ball is the exact same ball used in every NBA game. It is made from full grain Horween Leather and offers the best in grip, bounce and feel available. If you want the best basketball ever made you have got to pick up one of these. We can't fault this ball. It is that good! 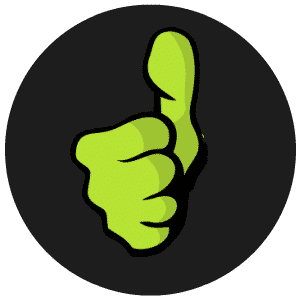 We hope you have found our comparison and reviews of what we consider to be the best indoor basketballs currently available online helpful in empowering you to make an informed decision upon purchase. As you can see, there are quite a few great quality indoor basketballs to choose from. If you are after a cheap, yet quality rubber ball the NBA Street is a great choice. For the more experienced baller who is looking for an indoor basketball with a pro feel at an affordable price, it is hard to go past the Molten. I just love the feel of this ball. The 12 panels used on the Molten provide some really nice feedback through the fingertips while shooting. If you have the money to invest in a quality indoor ball you would be wise to spend it on the purchase of an official NBA ball. If shot tracking is something you are interested in you should definitely consider the Wilson X. 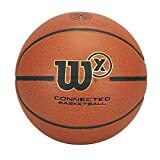 The Wilson X is not only one of the best indoor basketballs available, but also the most technically advanced basketballs on the market. The ability to track your shots over time is priceless. Hopefully you now have better idea of the differences in the features and benefits that the most popular ﻿indoor basketballs﻿ offer. 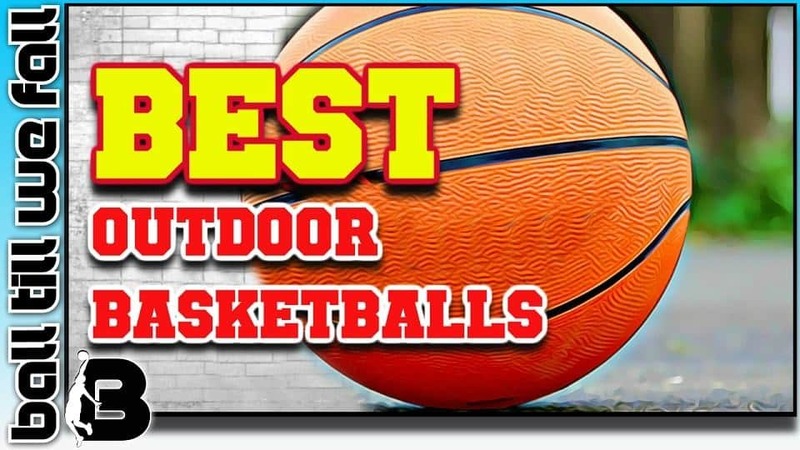 If you are more of an outside baller be sure to check out our review and roundup of the best outdoor basketballs. Be sure to check back to this page in the future as we regularly update the post with the latest and greatest indoor basketballs on the market.